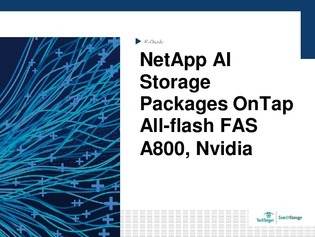 NetApp is jumping into the AI storage market with a platform that combines OnTap-powered all-flash arrays with Nvidia supercomputers— intended to help companies implement data analytics that bridge a core data center, edge computing, and cloud. Their new target? Data scientists. Jump into this e-guide to learn how NetApp and co. are aiming to simplify data scientists’ analytics-related tasks, with additional info on why enterprises struggle to size and deploy AI projects and how OnTap converged systems can help.